We offer SolarFX window film in a variety of shades. It is very important to protect your interior as well as have a cooler environment in your vehicle. If you are sensitive to light or heat, tint blocks out 99% of UV rays, and different shades of tint can block out different percents of light. 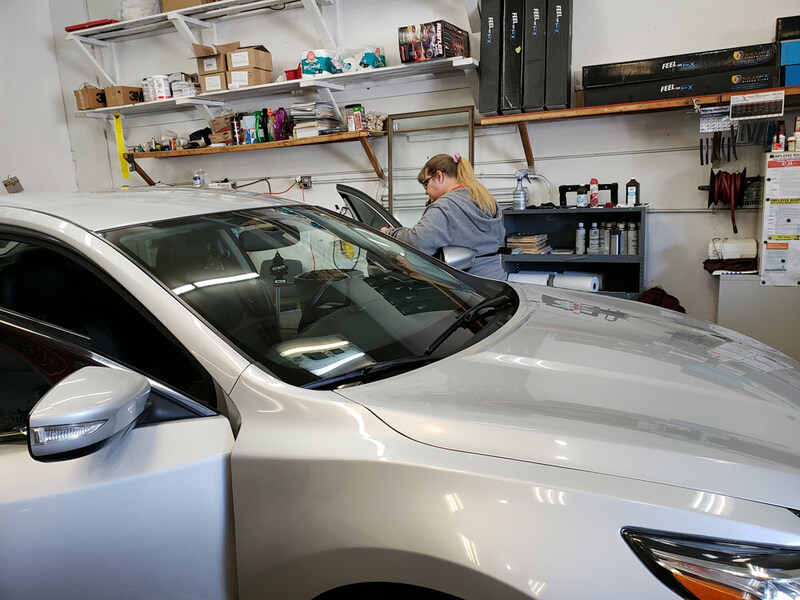 A full vehicle takes roughly 3 to 4 hours, depending on how much tint is being installed and how big of vehicle. We advise you on proper care of your tint as it is very important to use cleaners that are safe on window tint. We offer 5 year warranty, or a lifetime warranty, depending on which tint is applied to your windows. Of course we stand behind our work 100%. We are not happy until you are!